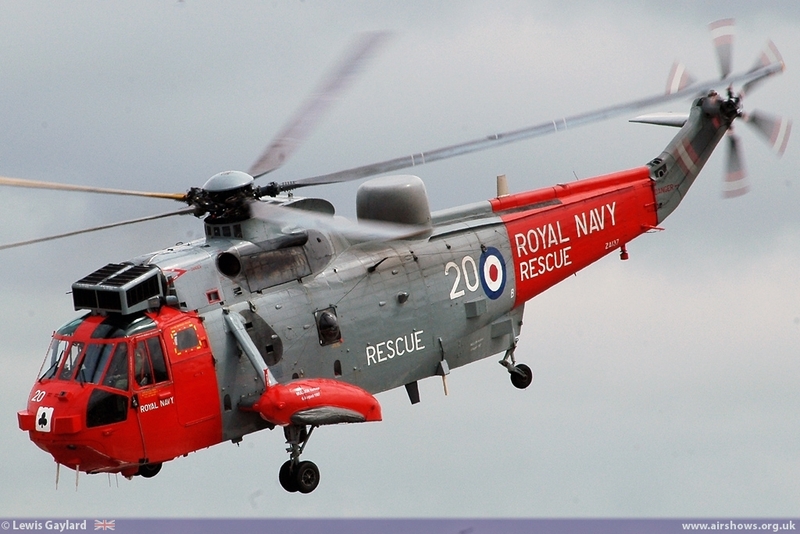 With the 60th anniversary of Royal Navy Search and Rescue being celebrated in 2013, it was very fitting that RNAS Culdrose, home of 771 SAR Naval Air Squadron (NAS), returned to the UK air show calendar after a Year’s absence. 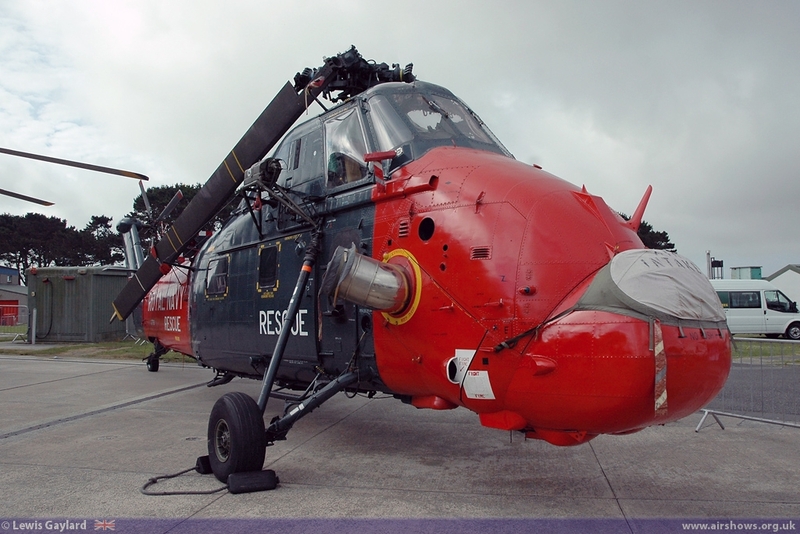 Situated on the Lizard Peninsula in Cornwall, RNAS Culdrose is one of the most beautiful and picturesque locations in the UK. 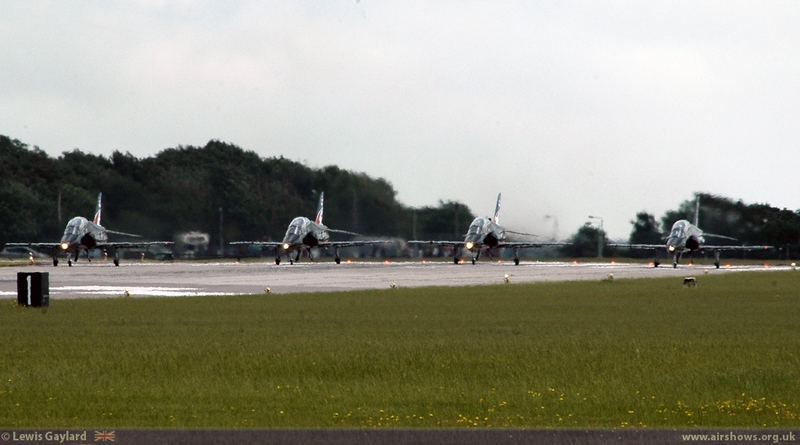 With a nice variety of UK and foreign participants scheduled for air day, a large crowd was expected. 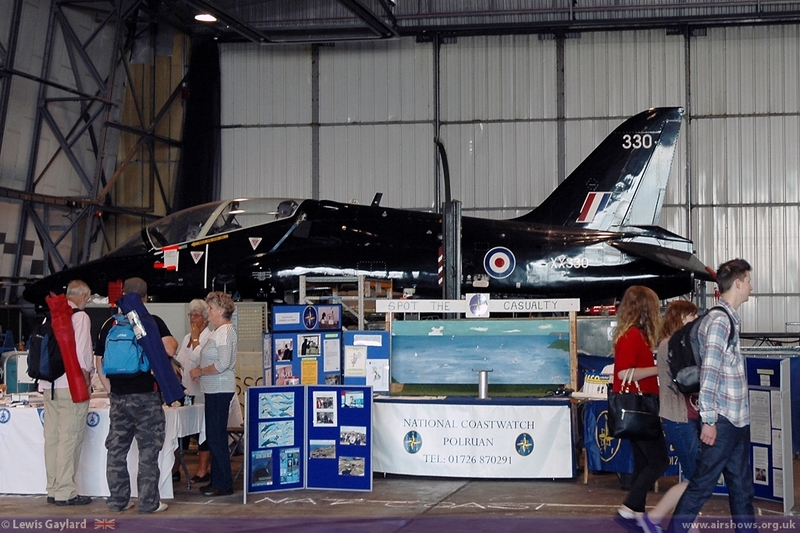 On the ground the assembled mix of merchandise stands, exhibitions and a full fun-fare mixed very nicely with the numerous static aircraft that were very well arranged. 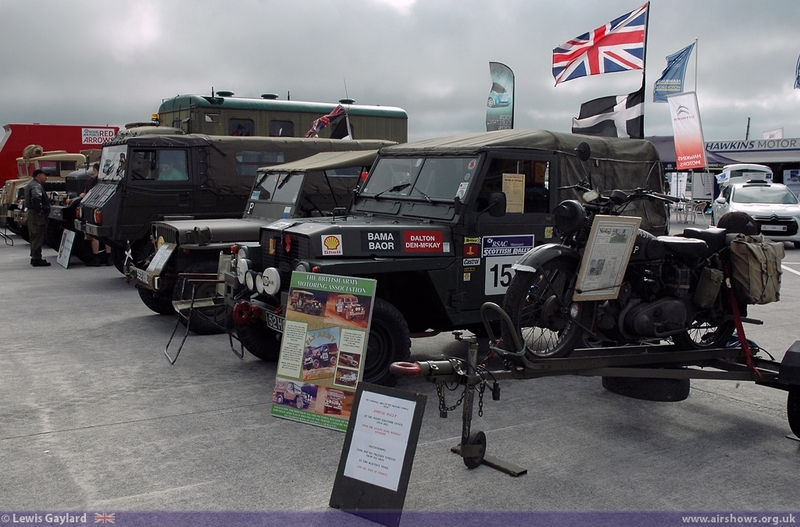 Coupled with an arena that throughout the day put on displays by various participants including the band of the Royal Marines, True Hero Racing, who raise funds for service personnel who have been injured on active-duty and the RNAS Culdrose Field Gun crew, there was much to see and do for all the family. 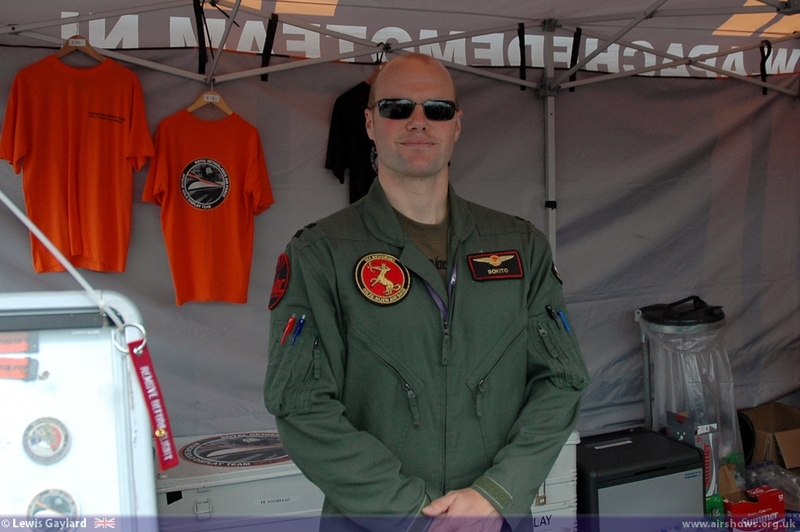 One of the highlights of the ground exhibitions was the guys of the Dutch Apache Demo Team. 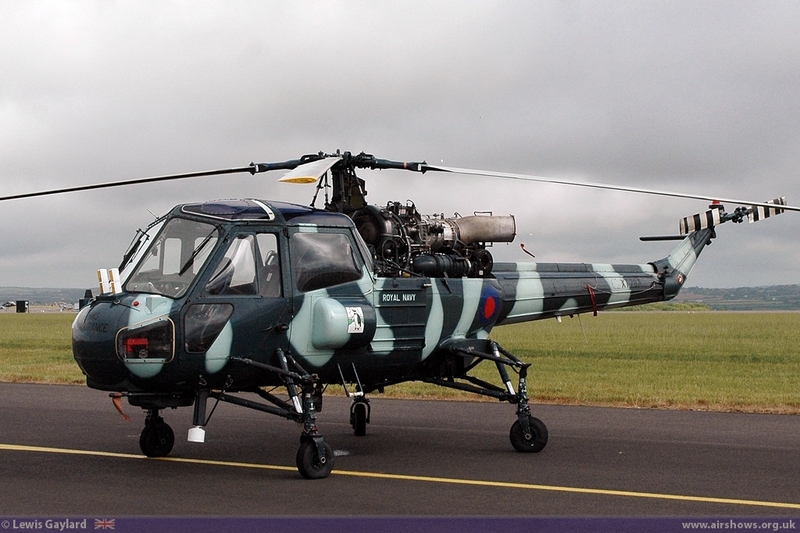 Alongside their merchandise stand, where ‘Bokito’ was on fine form charming ‘the locals’, they also had one of their AH-64D Apache gun-ship helicopters on display with a variety of ordnance. 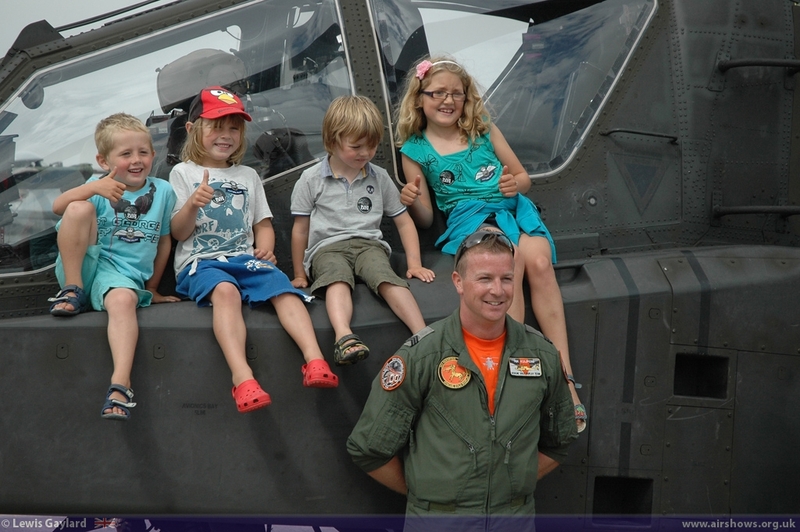 Rik Kuijpers, who is the avionics specialist on the team, was on hand to give ‘young and old’ a chance to have their photo taken with the Apache, much to the delight of the ever increasing cue. 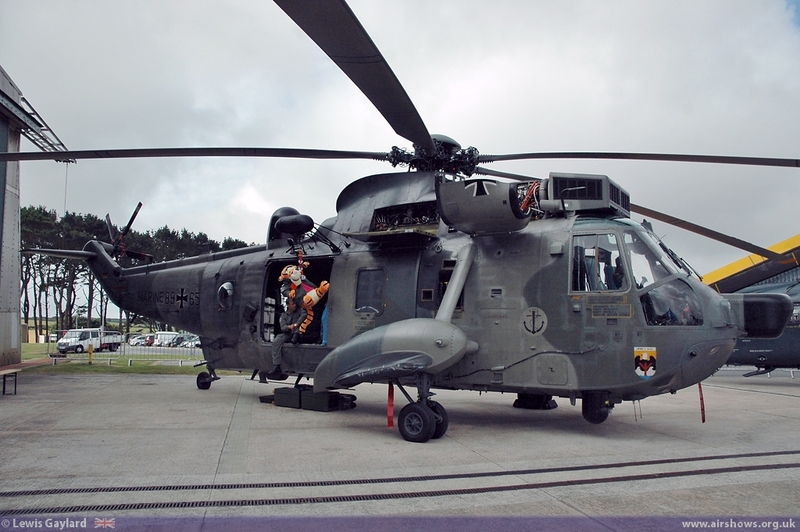 Through the day the Dutch Team were very helpful, fun, charming and answered all the questions that were asked of them, they are a credit to their Country. 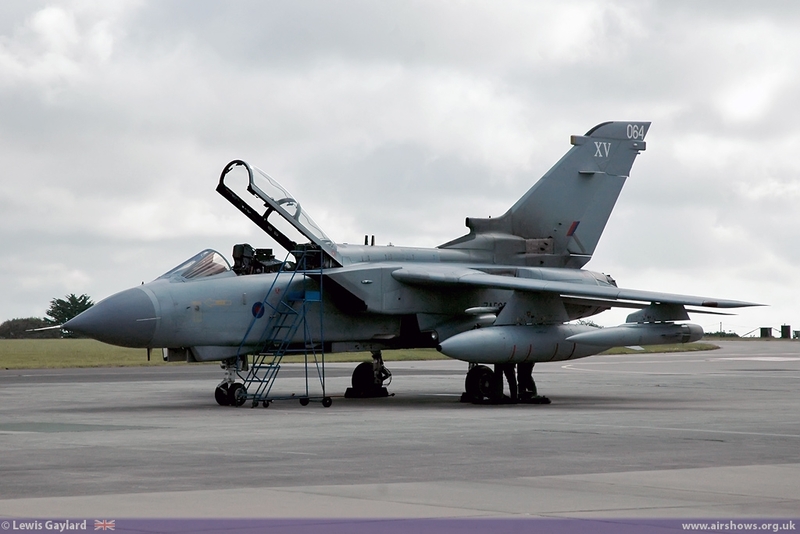 It was very pleasing that so many air and ground crew were on-hand to answer questions and allow people the chance to have access to some of the static aircraft. 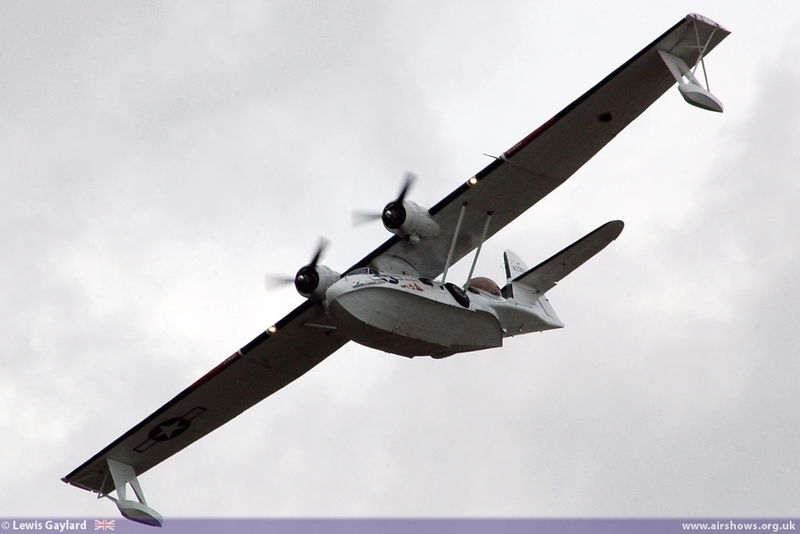 One delight was the Consolidated PBY-5A Catalina, which was the most-built flying boat of World War II, which is supported by the Catalina Society. 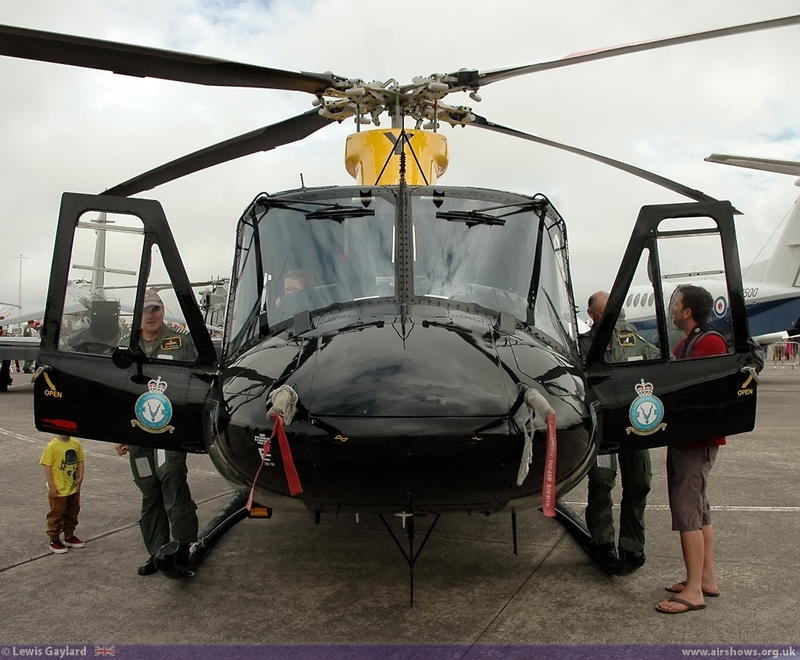 Rob Hardwick was on duty to help visitors to look around the aircraft and was very gracious and knowledgeable on this most beautiful piece of aviation history. 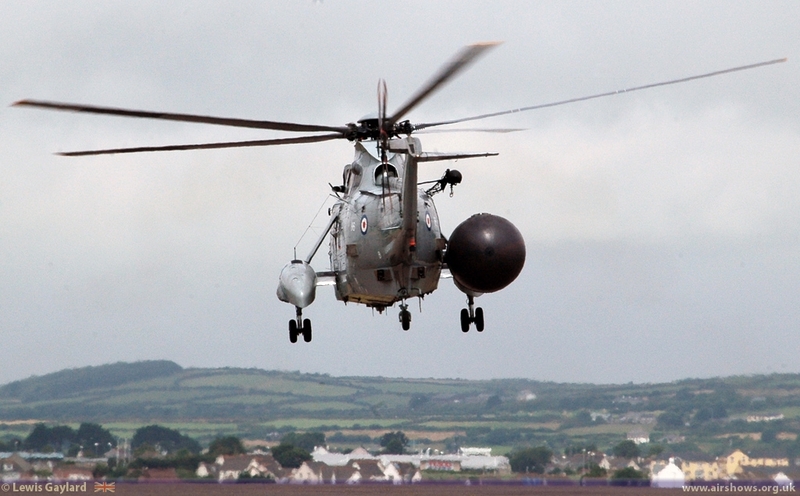 RNAS Culdrose is home to numerous Front-line helicopter squadrons and many of these were out in force. 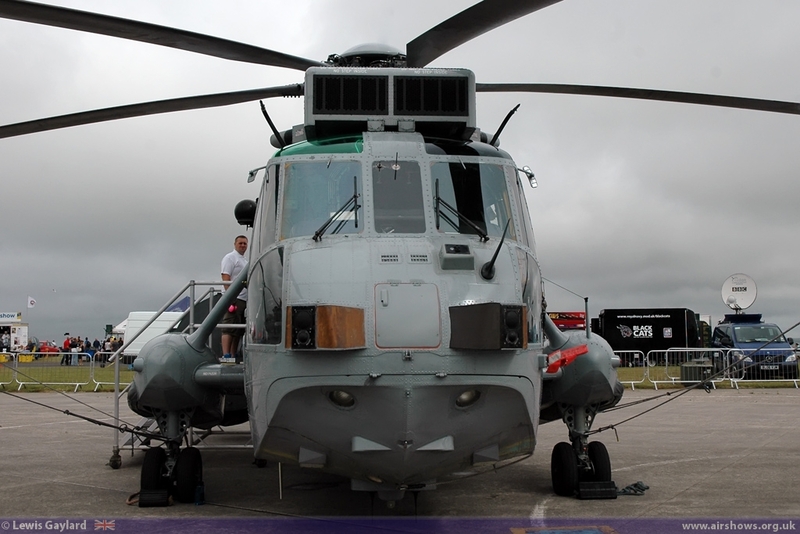 AgustaWestland Merlin HM1 and the new HM2 were on display as part of the Merlin Force. 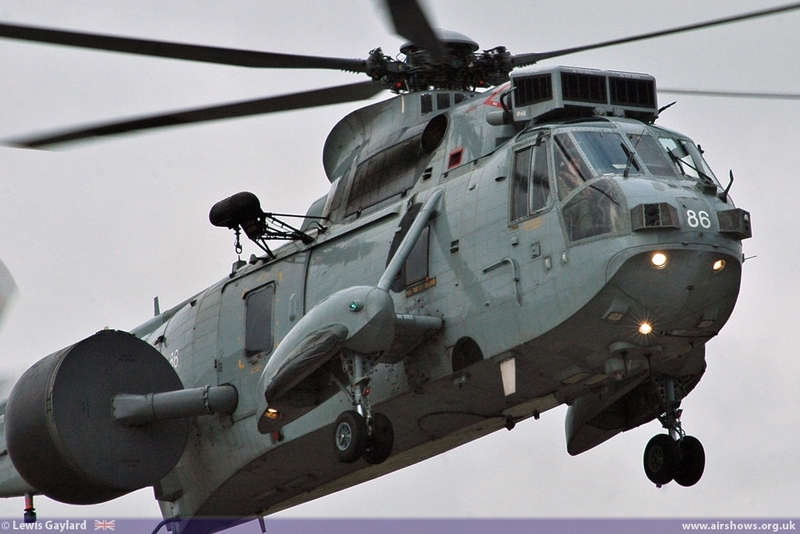 The Merlin Force, under the command of Cdr Ben Franklin, has been on frontline operations around the globe since its entry to service in 2001 and is now beginning to receive the HM2 variant of the Merlin. 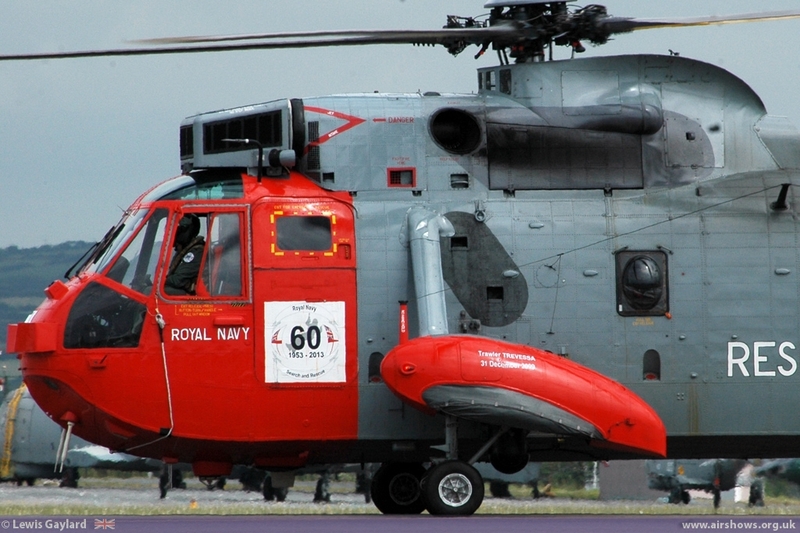 Alongside the Merlin was the venerable Sea King ASaC 7. 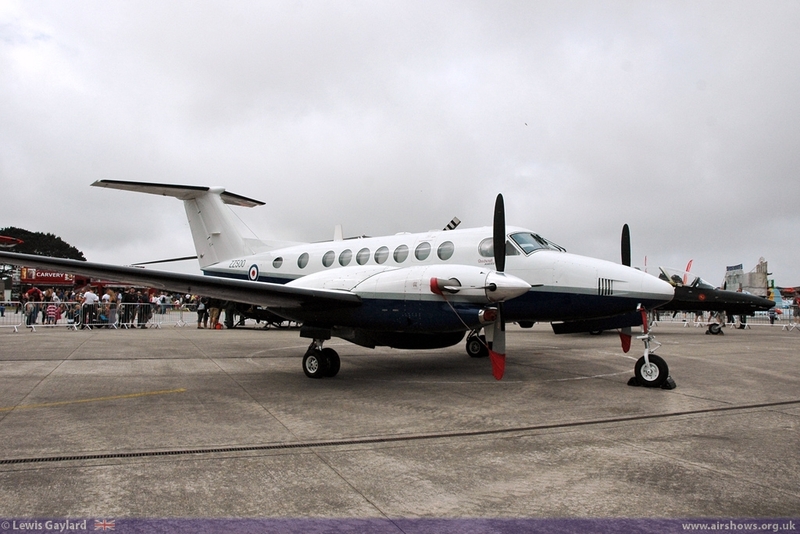 Operated by 3 squadrons the ASaC 7 has seen active service in Afghanistan where it has worked closely with allied air and ground forces in the Ground-Tracking and surveillance roles. 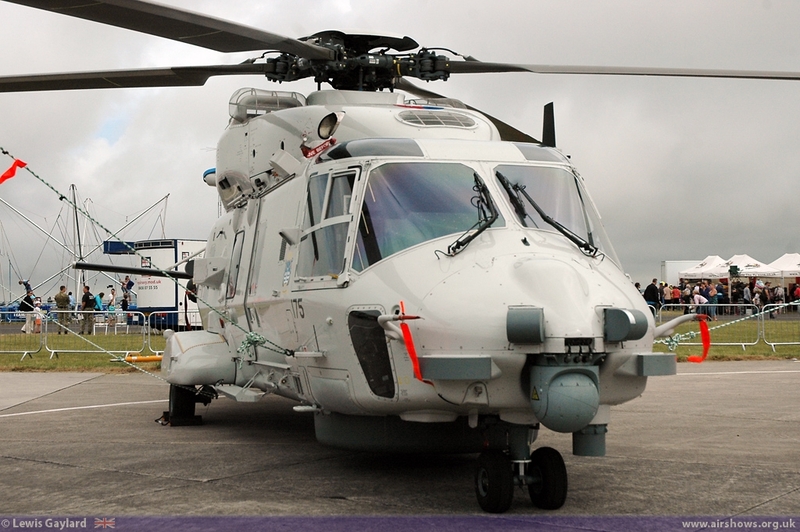 Alongside the ASaC 7 and Merlin helicopters was the rare appearance of a Dutch Navy NHIndustries NH90. 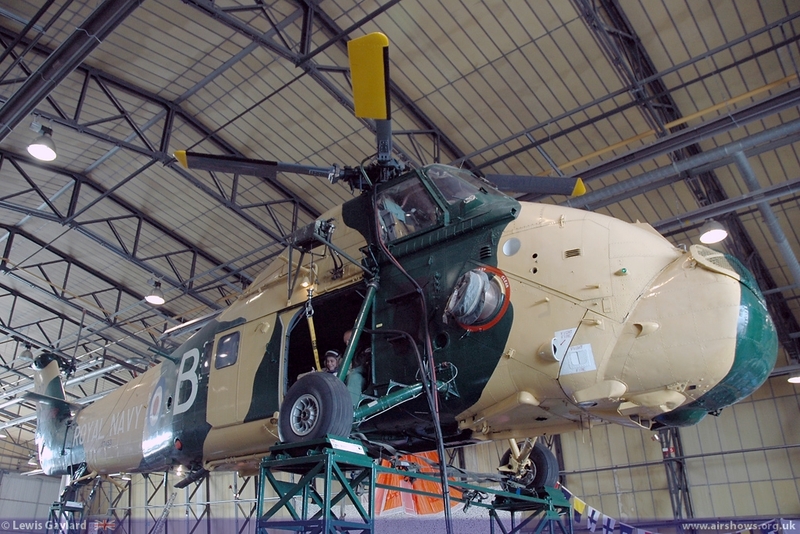 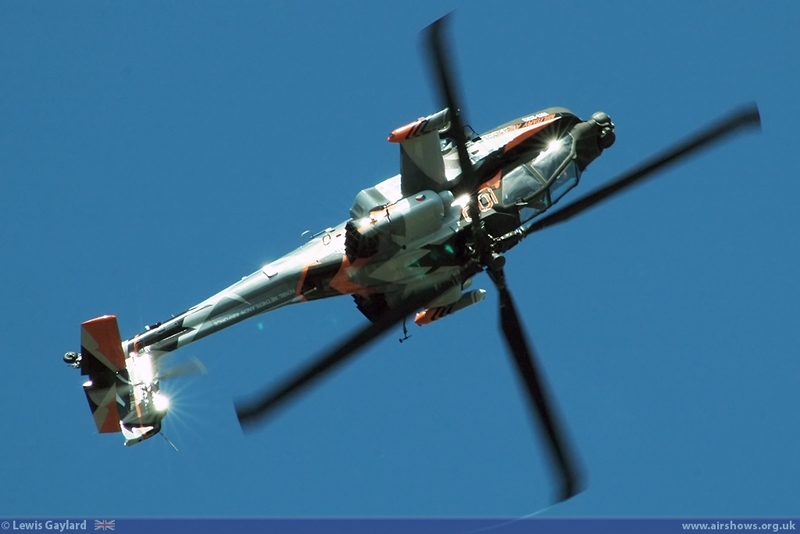 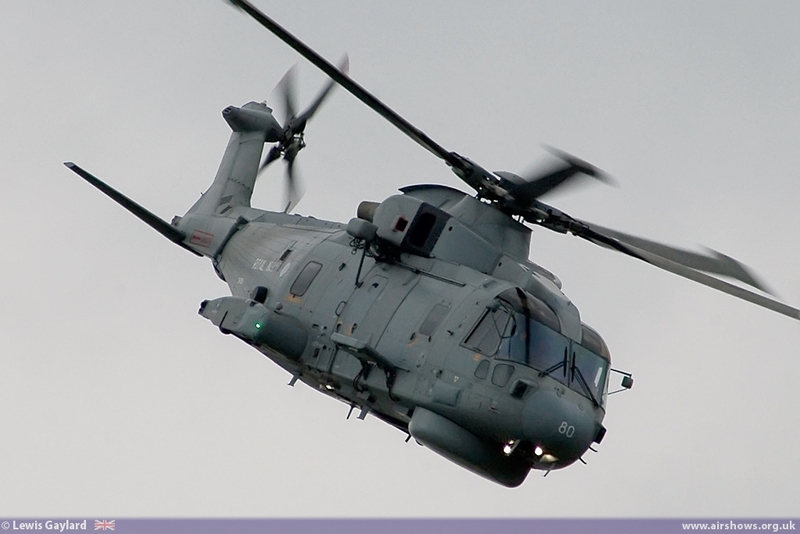 The Dutch Navy operate the NATO Frigate Helicopter (NFH) variant of the NH-90 and is designed and constructed by the joint consortium of Eurocopter and AgustaWestland as NHIndustries. 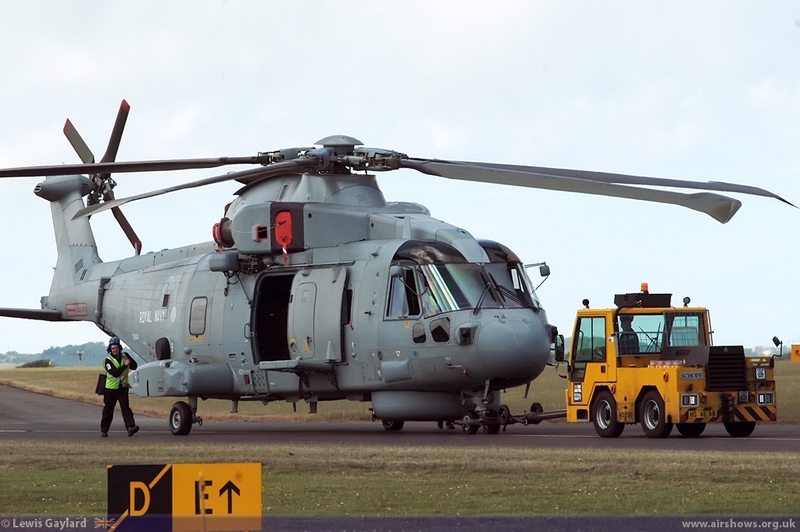 In this 60th anniversary year of Royal Navy Search and Rescue (SAR) there was a nice display outside 771NAS hangar which comprised a Westland Sea KingMK5, a Westland Wessex HU5, which the Sea King replaced in the SAR role and from the German Navy a Sea King MK 41 from Marinefliegergeschwader 5. 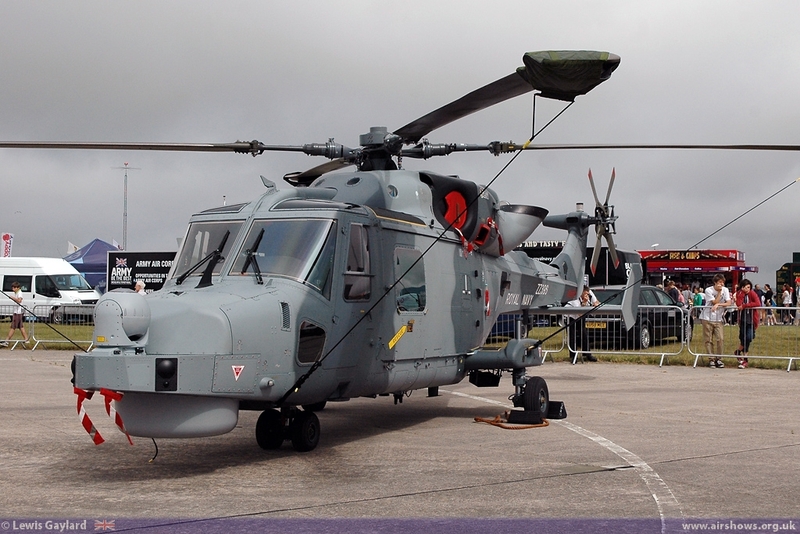 A real treat for many was the sight of the latest Royal Navy helicopter, the AgustaWestland AW159 Wildcat HMA2 from 700W NAS based at RNAS Yeovilton in Somerset. 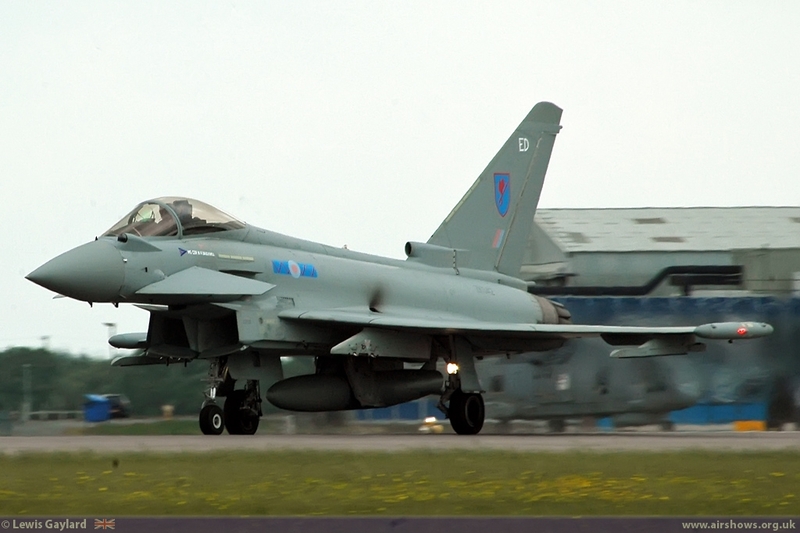 To the delight of the crowd the RAF sent 2 of its front-line fast-jets to air day in the shape of a Panavia Tornado GR4 from 15 Sqn and a Eurofighter Typhoon FGR4 from 6 Sqn, which performed a couple of missed approaches before taking its place in the ‘live’ static. 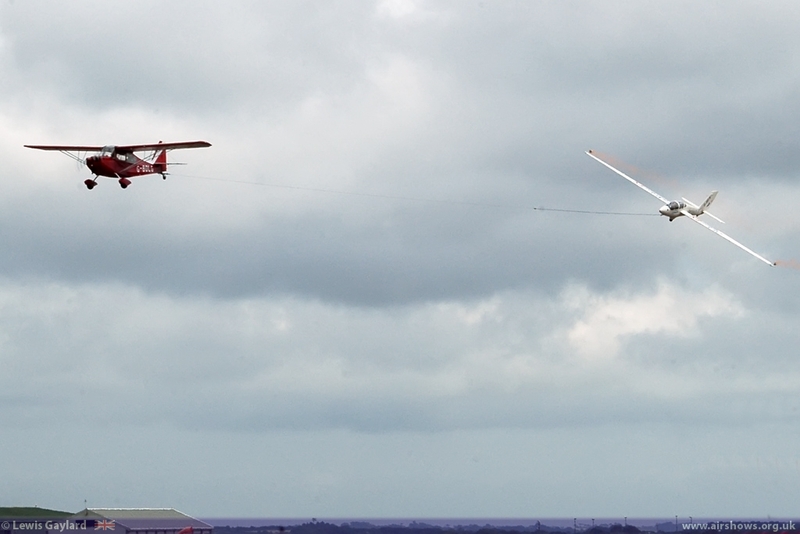 With the weather not at its best, the air display opened with Glider FX Display team which demonstrated some remarkable aerobatics for a Glider and included their signature manoeuvre, the ‘roll on tow’, with the glider rolling and flying upside down during the aerotow. 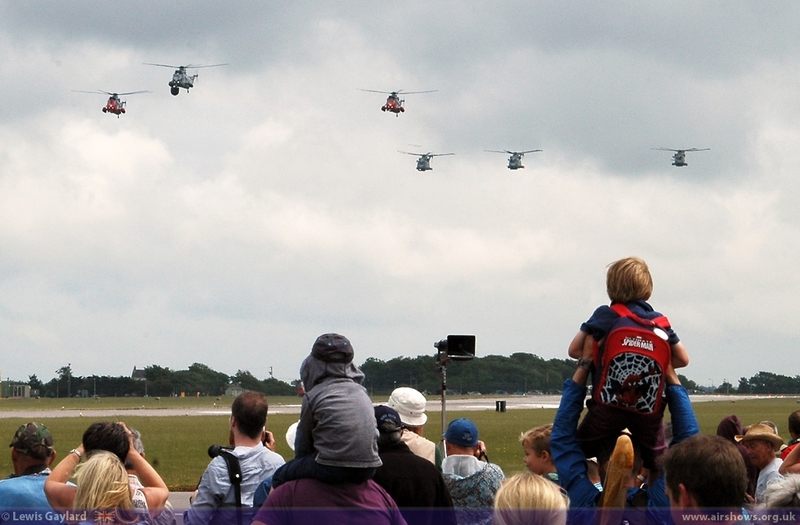 The main display opened with a combined helicopter and fast-jet fly-past comprising Culdrose based aircraft which included Merlin, Sea King MK5, Sea King ASaC7 and 4 Hawk T1As’. 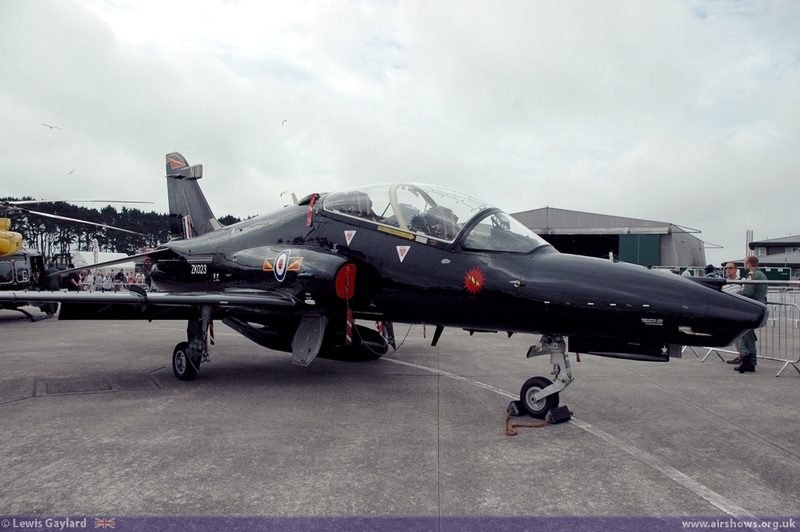 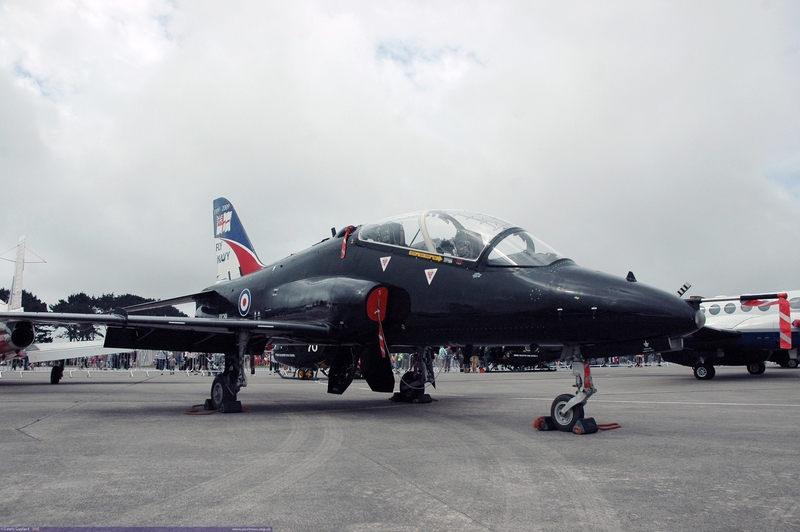 The Hawk T1As’ of 736NAS performed two fly-pasts in ‘diamond’ and ‘echelon’ formations. 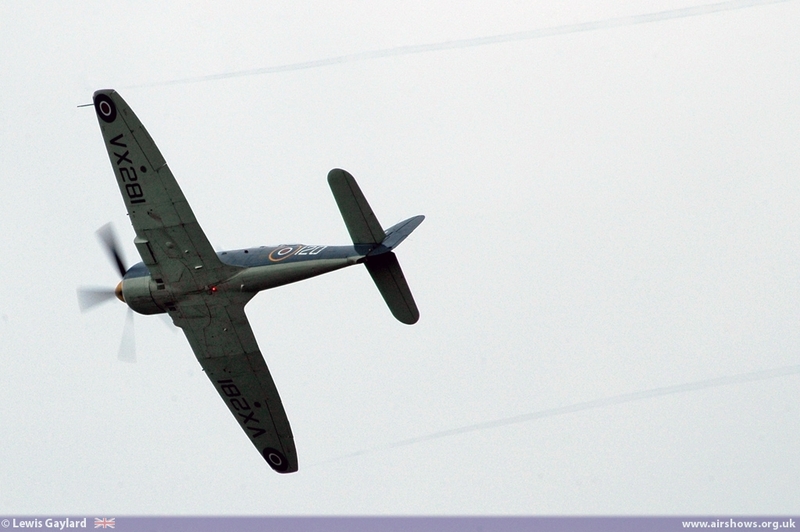 Next to display was Peter Teichman in his historic North American P-51D Mustang 'Jumpin Jacques'. 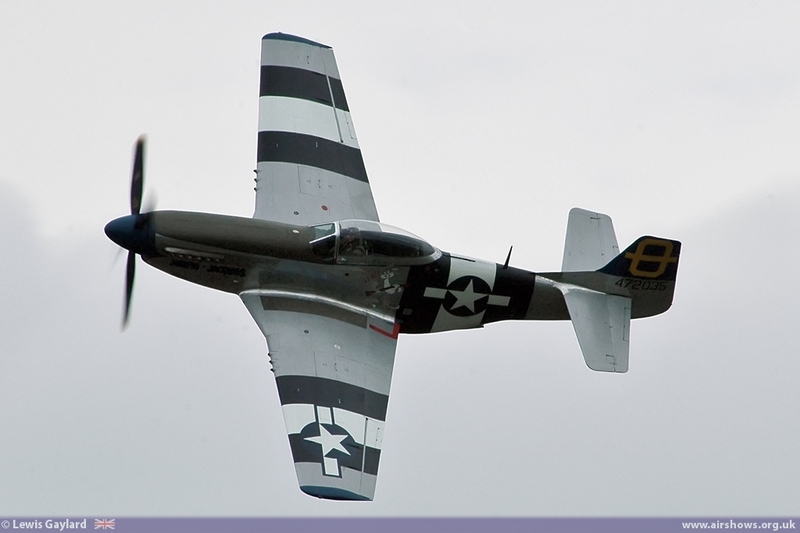 This aircraft is one of the most original P-51 Mustangs in existence; having served as one of the famous 332nd Fighter Group, the "Red Tails", also known as the Tuskegee Airmen, in Italy during 1945 and here it was displayed with real panache and the roar of its Rolls Royce Merlin engine was music to the ears. 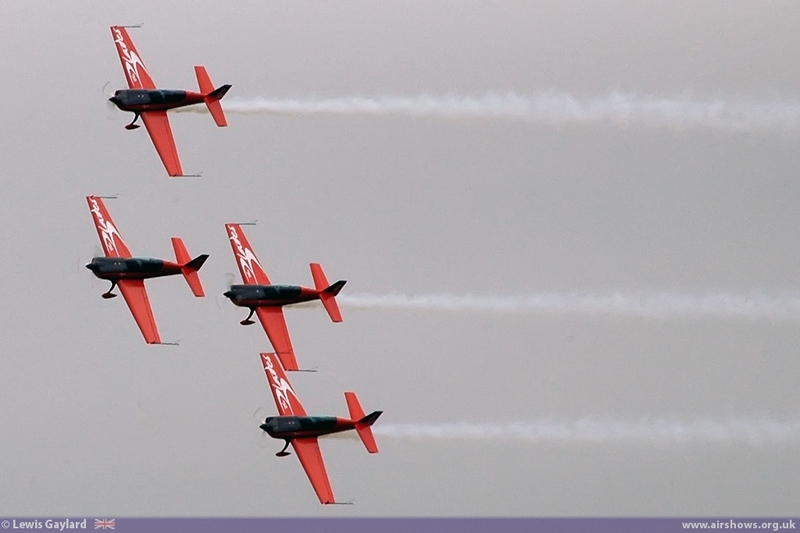 The Blades Display Team, Flying their +/-10g certified Extra EA-300 SC and LP variants, thrilled the crowd with some great aerobatics during their 15 minute sequence of over 30 separate manoeuvres. 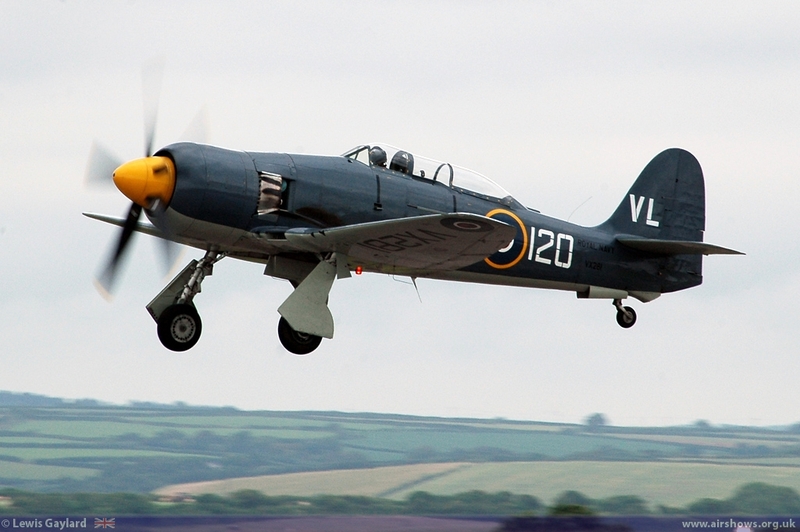 Following on was Lt Cdr Chris Gotke in the Royal Navy Historic Flight (RNHF) Hawker Sea Fury T20. 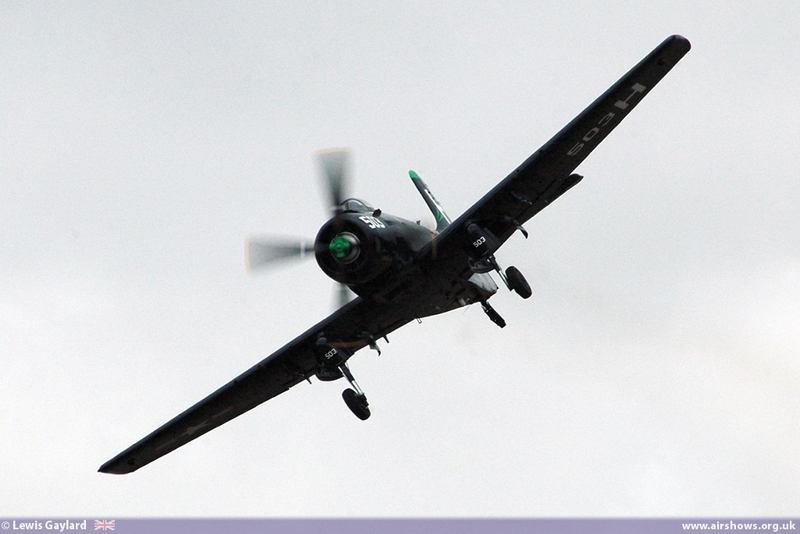 The howl of its Centaurus engine filled the air as the Sea Fury was thrown around the darkening skies in a powerfully dramatic display. 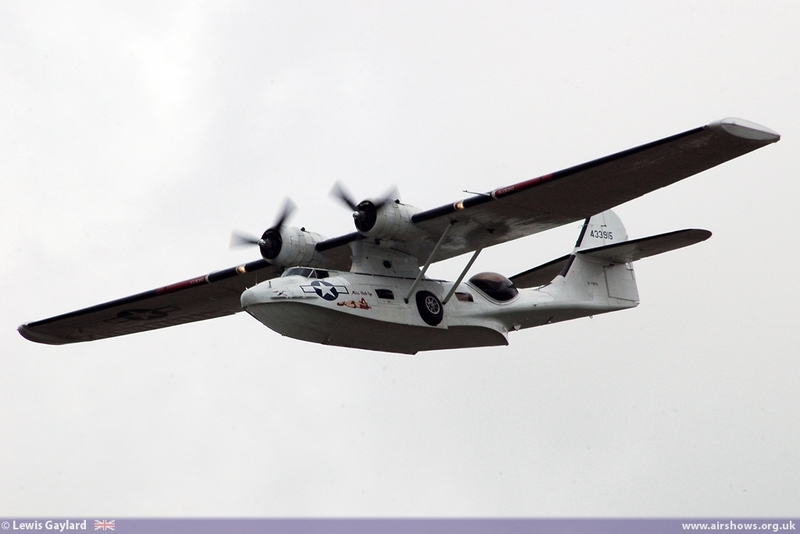 The graceful lines of the Consolidated PBY-5A Catalina was then elegantly displayed and to spoil the ears further, the gentle hum of its Pratt & Whitney R-1830-92 radial engines was just delightful. 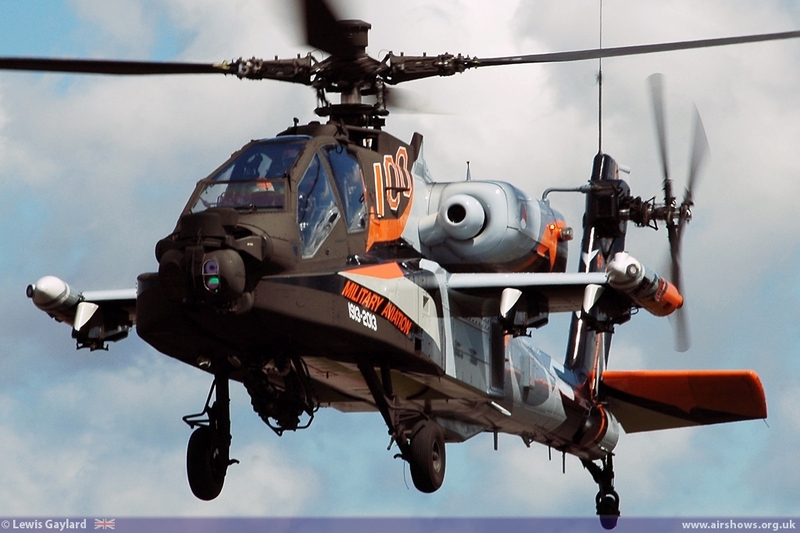 In complete contrast, the Dutch Apache Demo Team took centre stage with its strikingly painted Boeing AH-64D Apache gun-ship. 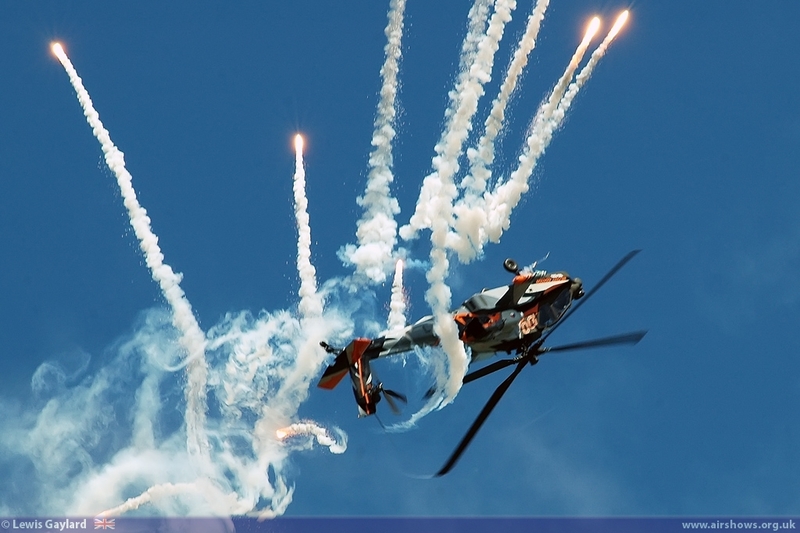 With generous flare releases accompanying the numerous rolls, hammerhead turns and loops, the display was simply awesome; this makes this spectacular demo unique in the world. 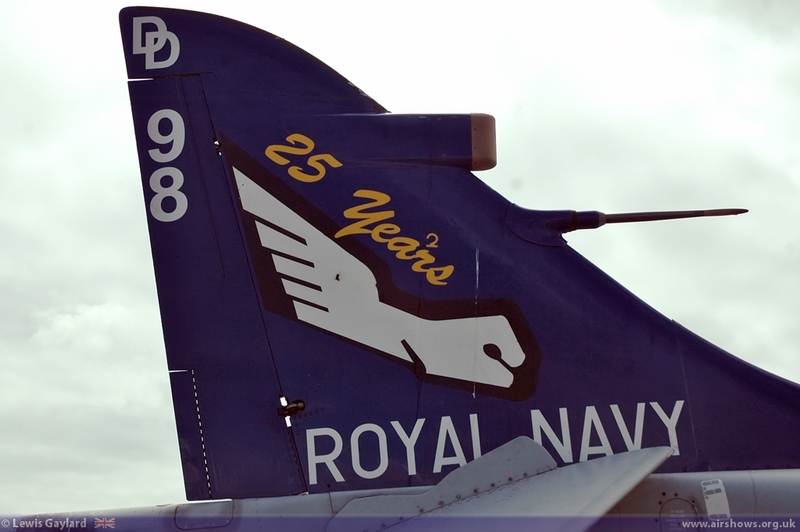 This year the Fleet Air Arm has been celebrating the 70th anniversary of the Battle of the Atlantic and up next was one of its veterans. 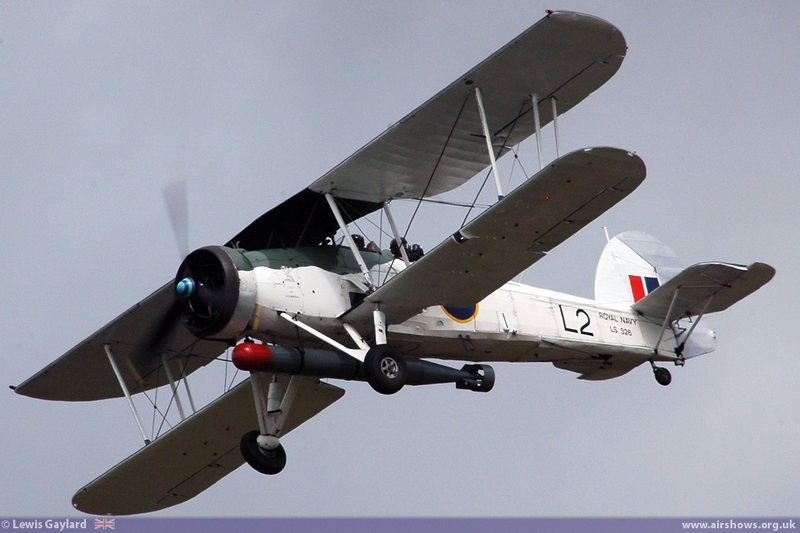 Fairey Swordfish Mk.II LS326 of the RNHF took to the sky to perform a display of real style and it was a timely reminder of the sacrifices our Royal Navy and Fleet Air Arm made during World War 11. 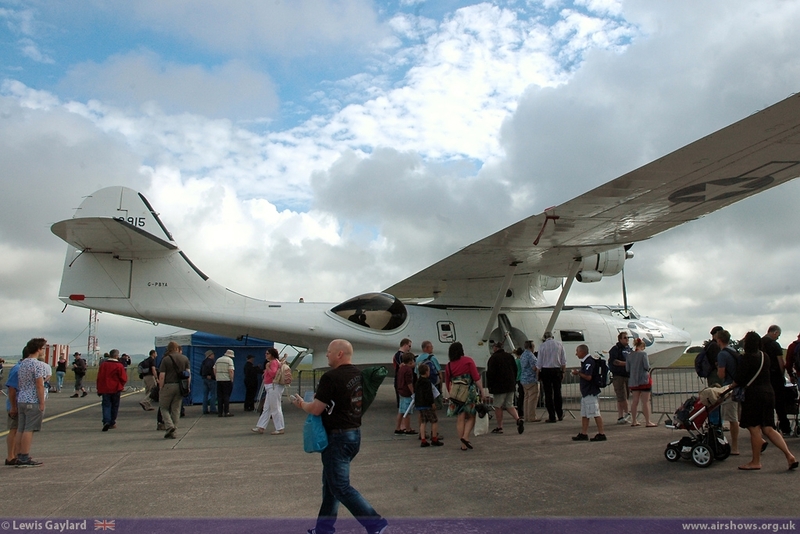 Throughout the afternoon the Classic Air Force, now based at nearby Newquay airport, were giving pleasure flights using 2 of their aircraft; an Avro Anson and a De-Havilland Dragon Rapide , and this gave plenty of opportunity to watch, and photograph, these ‘old girls’. 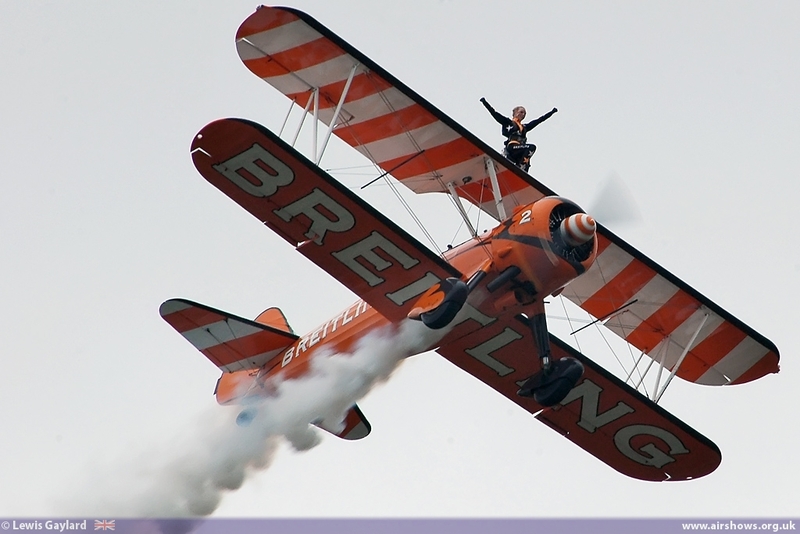 Once Peter Teichman had departed in his P-51 Mustang next to display were the girls from the Breitling Wingwalkers. 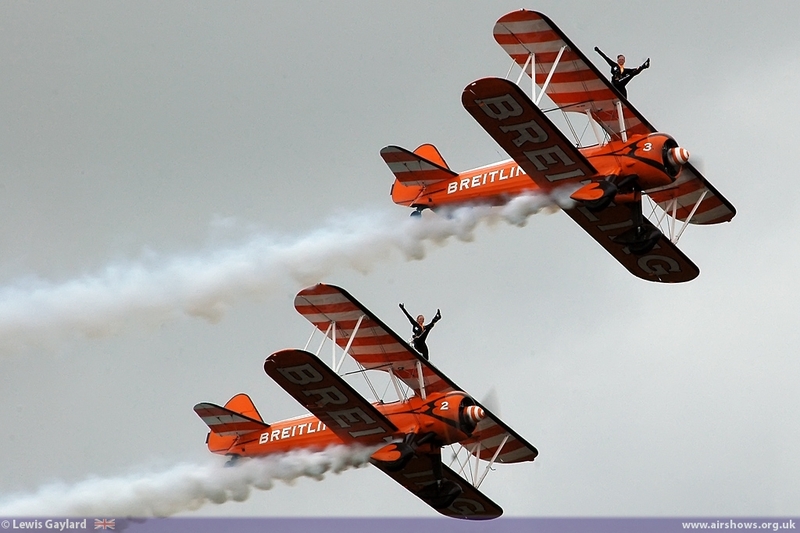 With the cloud level dropping the Breitling pair put on a very energetic display with the girls ‘atop’ making several striking poses and waving energetically to the crowds below. 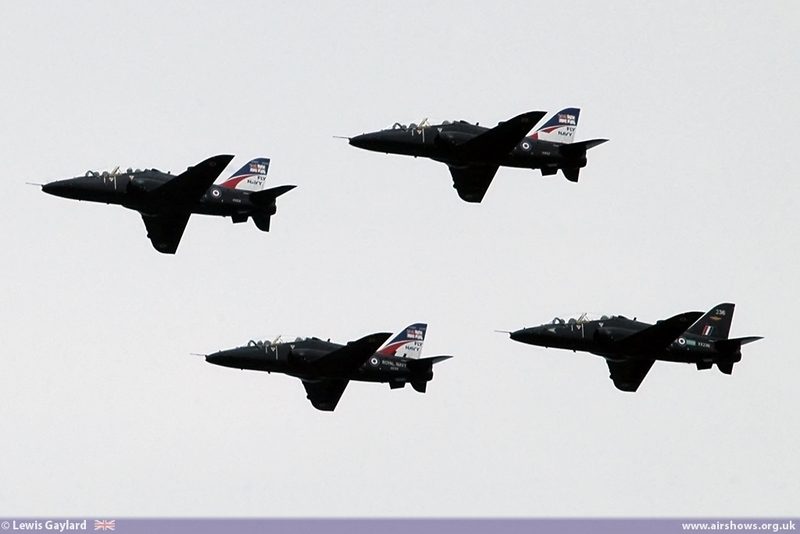 For most airshows the highlight is the Royal Air Force Aerobatic Team- the Red Arrows. 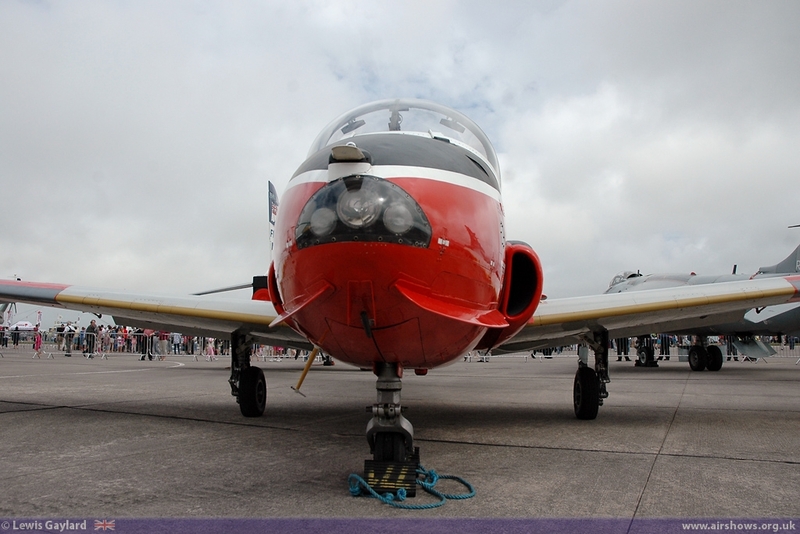 Unfortunately, with the cloud base down to 700ft, and after flying around the area for 20+ minutes looking for a break in the cloud, ‘Red1’ gave the news that ‘The Reds’ would not be displaying; much to the disappointment of the large crowd. 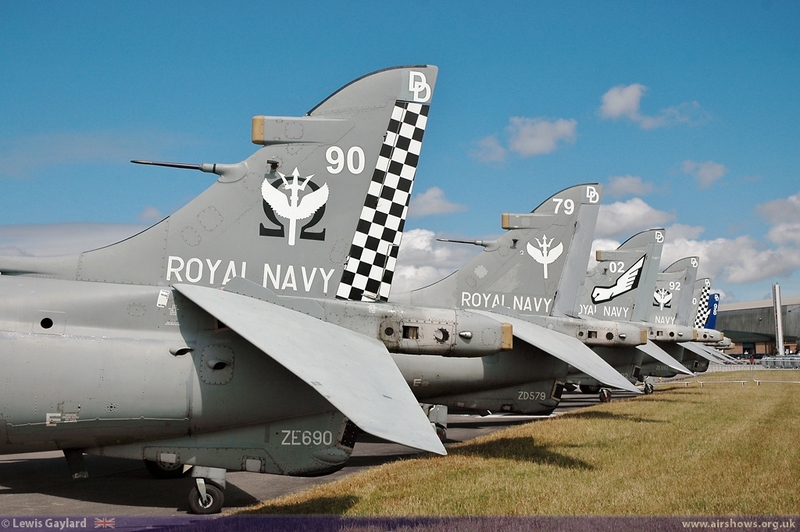 However, as usual, the navy saved the day with the entrance of a real classic aircraft. 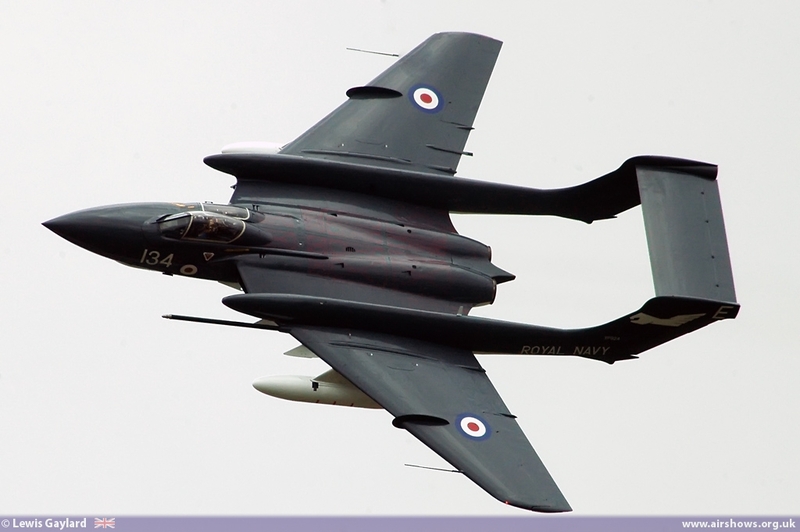 Exploding into the display circuit, to whoops and hollers from the crowd, the mighty De-Havilland Sea Vixen FAW2 made its 1st public display of the season. 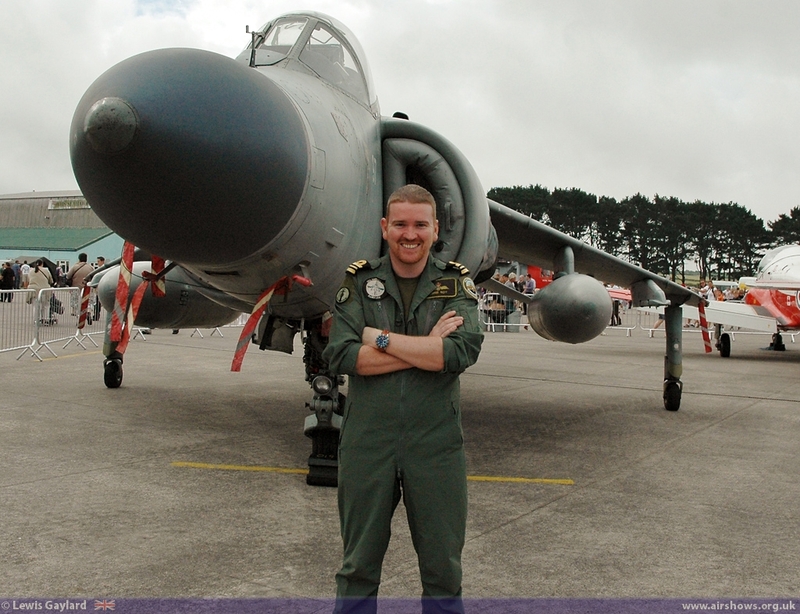 Piloted by Matt Whitfield, it put in a display of real power and with every manoeuvre it produced ample ‘Fluff’ and wing ‘Vortices’ to amaze the Children. 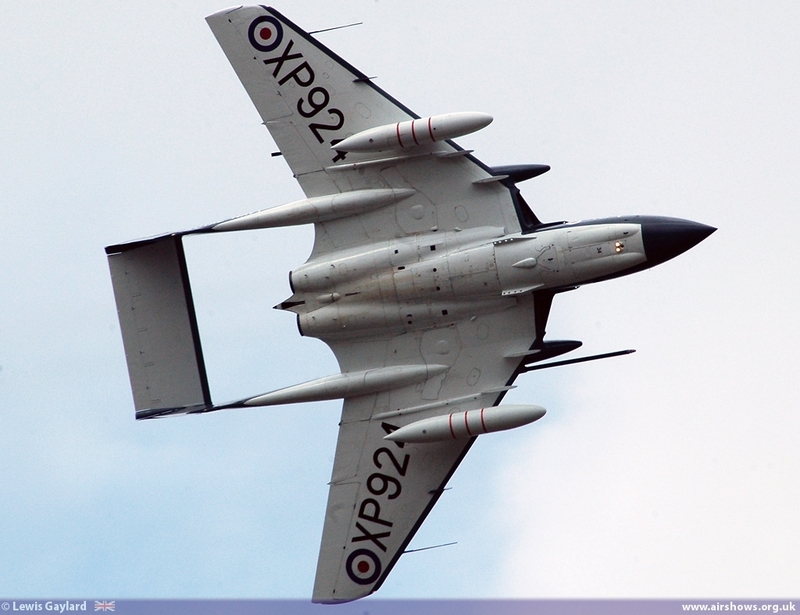 It is great to see this former Fleet Air Arm fighter make its return to the air show circuit. 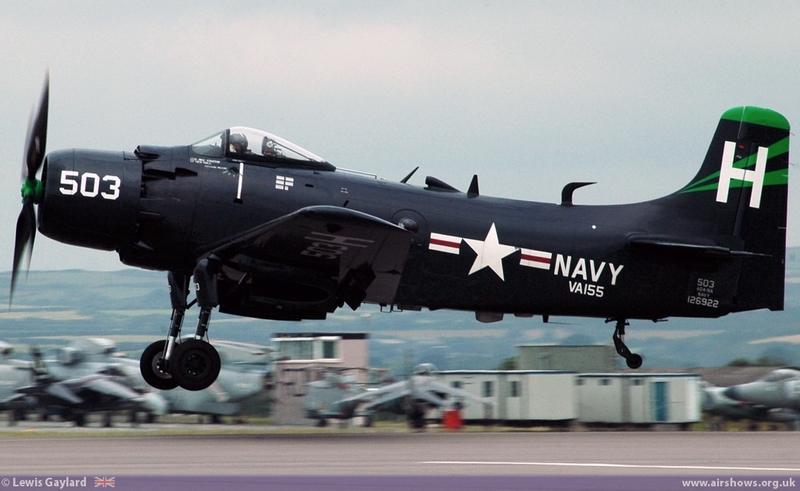 The first of two displays by former CO of RNHF, and FAA legend, John Beattie was in the impressive Douglas AD-4NA Skyraider. 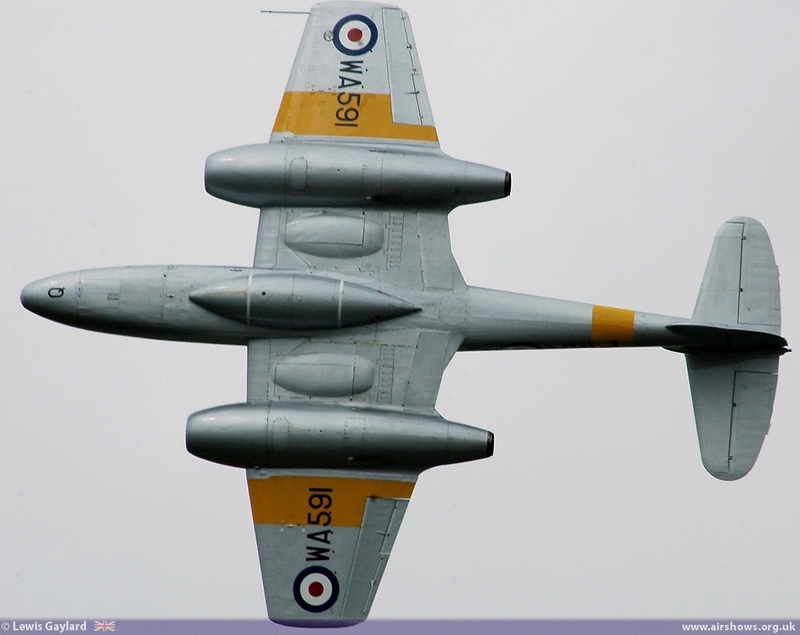 Wearing the colour scheme of an aircraft of Squadron VA-155 'Silver Foxes' of the US Navy during the Korean War, John gave a masterly display of aerobatics in this classic Warbird. 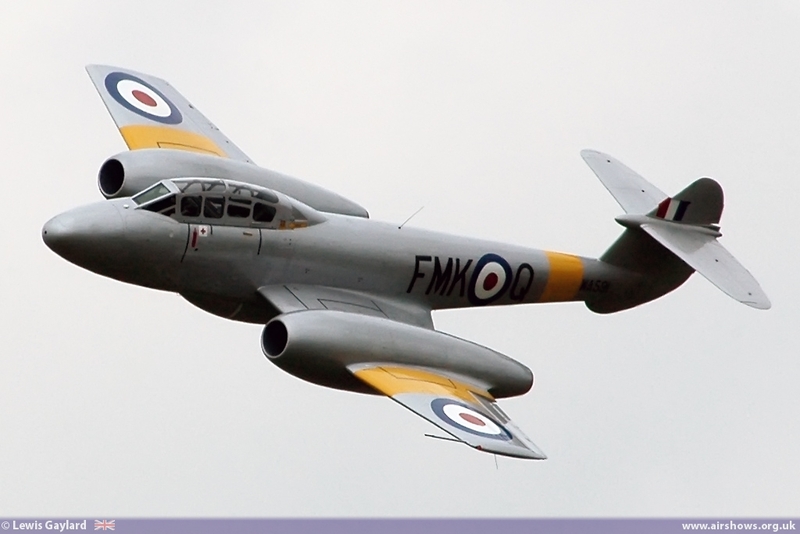 Dan Griffiths was up next in the Gloster Meteor T7 of the Classic Air Force and proceeded to display the aircraft in a very aggressive and agile manner, belying the old age of the aircraft. 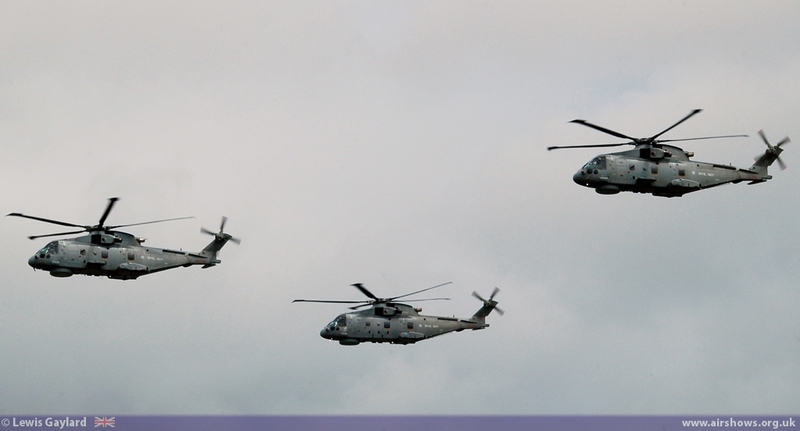 Next up was a quadruple of helicopter displays. 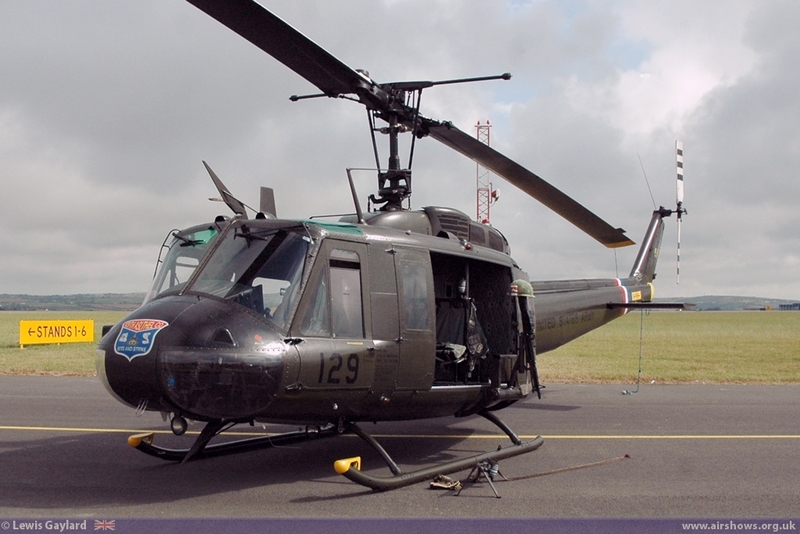 The Bell UH-1 or ‘Huey’ is one of the most famous helicopters in the world and here the Vietnam veteran, which between 1962 and 1975 2600 ‘Huey’ were based in Vietnam and flew around 36,145,000 sorties during the conflict, was displayed in typically dramatic style. 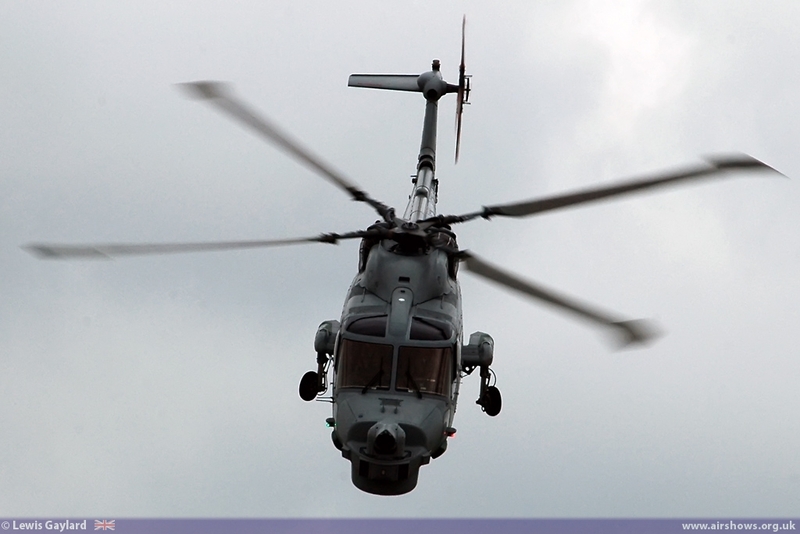 Next up was the singleton Westland Lynx HMA8 of the Royal Navy ‘Black Cats’ display team. 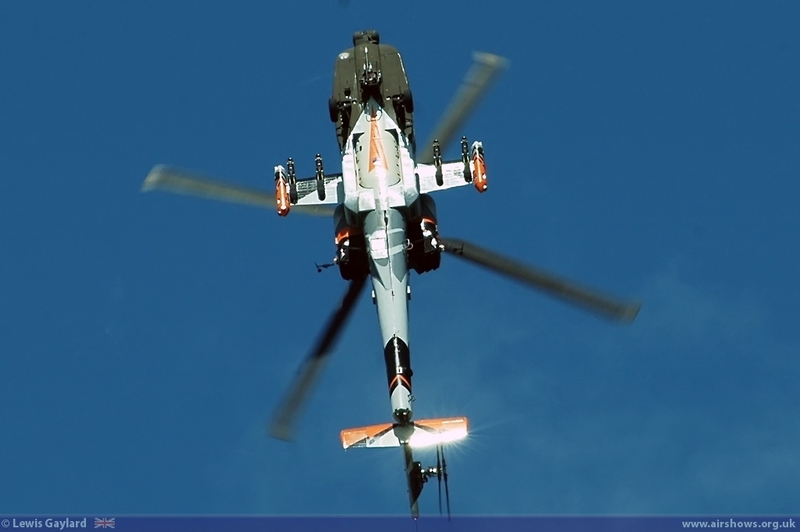 Flown by Lt AJ Thompson, this year’s display demonstrates the speed and remarkable agility of this small-ship based attack helicopter. 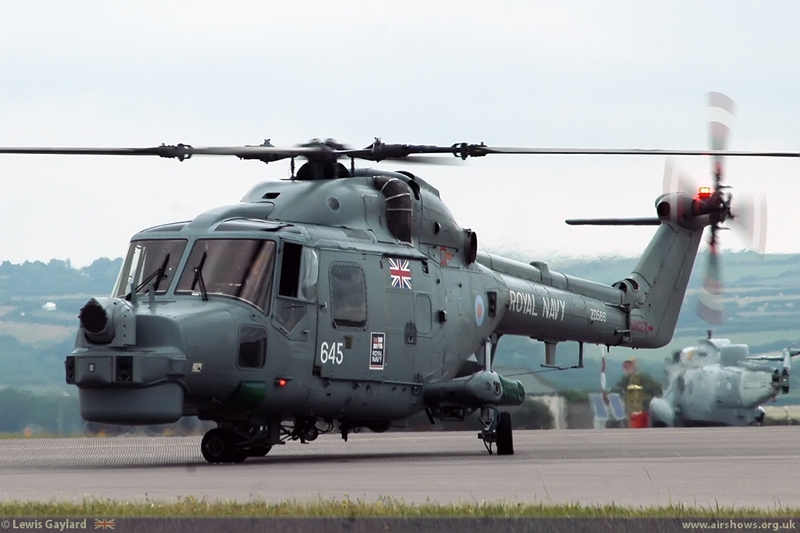 The Lynx bigger brother was up next in the shape of an AgustaWestland Merlin HM1 which effectively displayed the power and grace of this mighty helicopter and of its SAR winching skills in what was now very testing weather conditions. 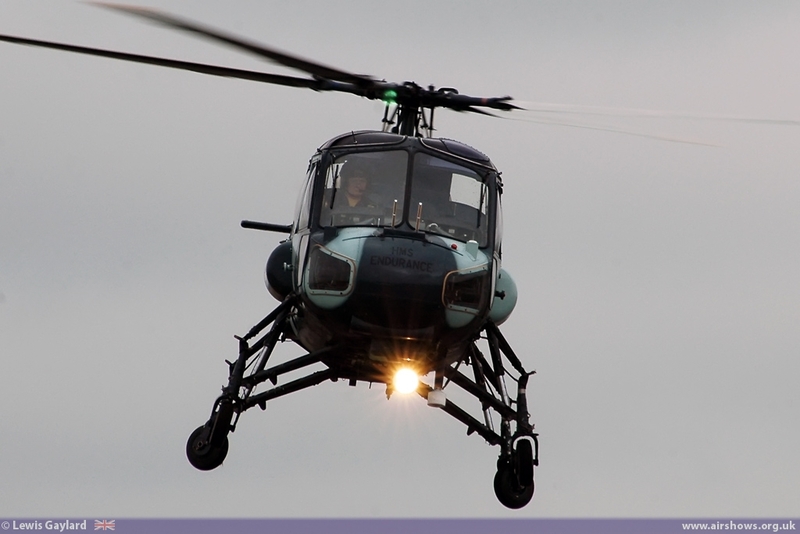 This was followed by an old ‘stalwart’ of the FAA. 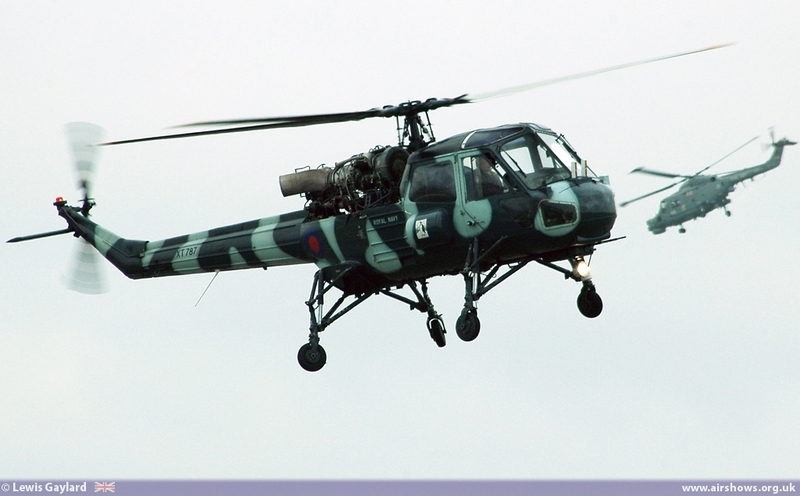 The Westland Wasp HAS1, flown by John Beattie in his 2nd display of the day, was for many years the main attack helicopter of the Royal Navy. 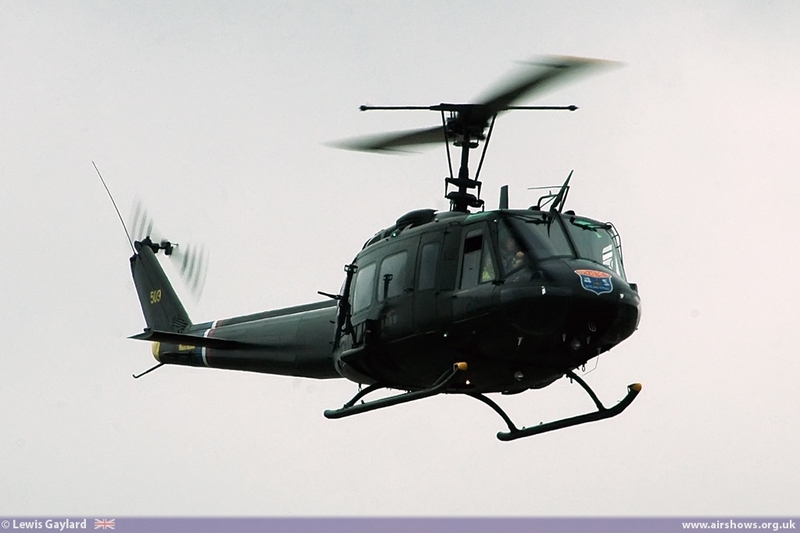 Designed by Saunders/Roe and constructed by Westland Helicopters in their factory in Hayes, Middlesex, it was designed alongside the army air corps Scout helicopter. 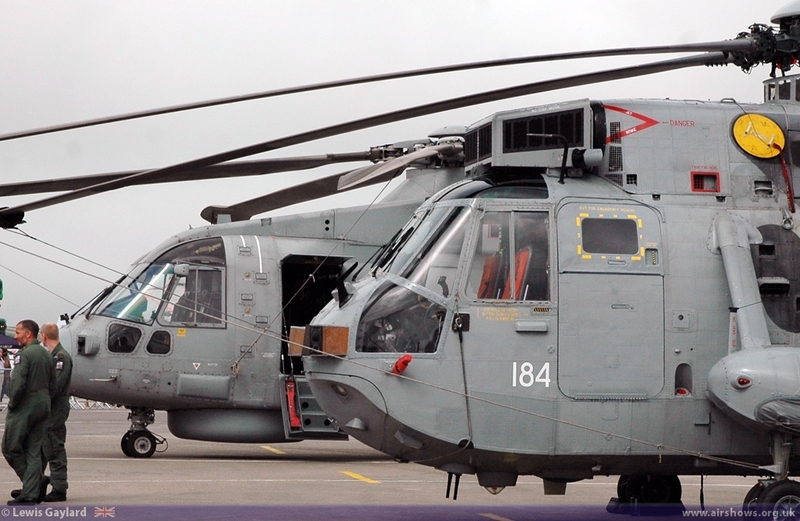 To conclude the air show was an anti-piracy role demo performed by Sea King ASaC 7 and a Merlin HM1, and some pesky Pirates. 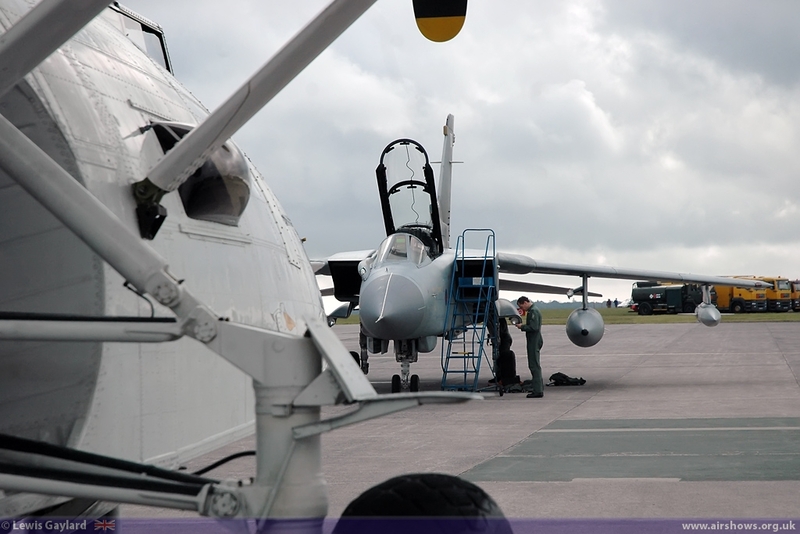 The Asac7 entered the target area first to ‘spy’ on the Pirate ship and to survey its intentions. 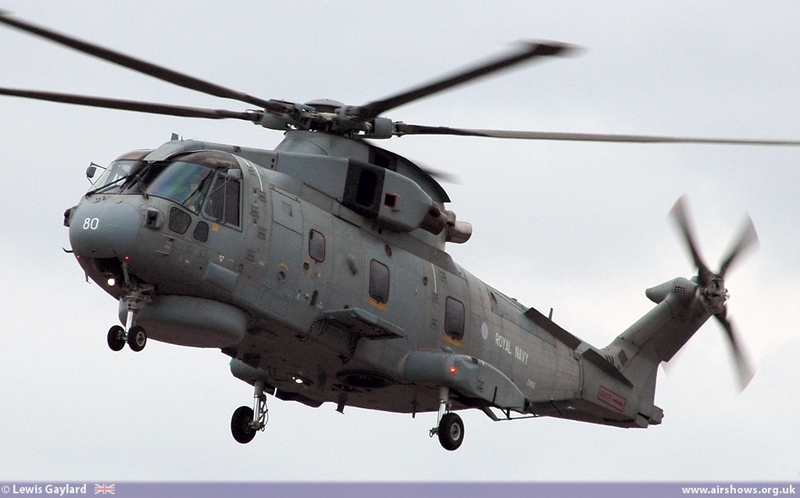 With help needed the Merlin was called into action, ‘buzzing’ the Pirates at low-level and high speed. 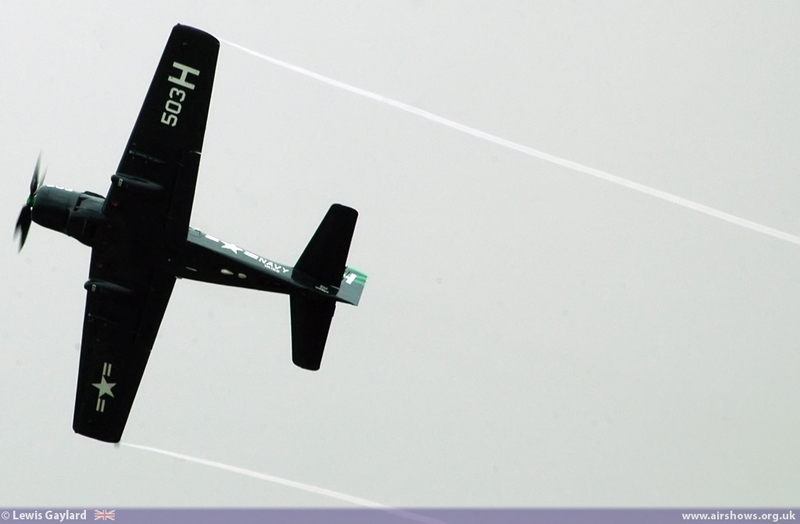 Having hovered above the Pirates for several minutes with the ‘Stop Board’ being displayed in the cabin doorway, the Pirates now tried to escape! 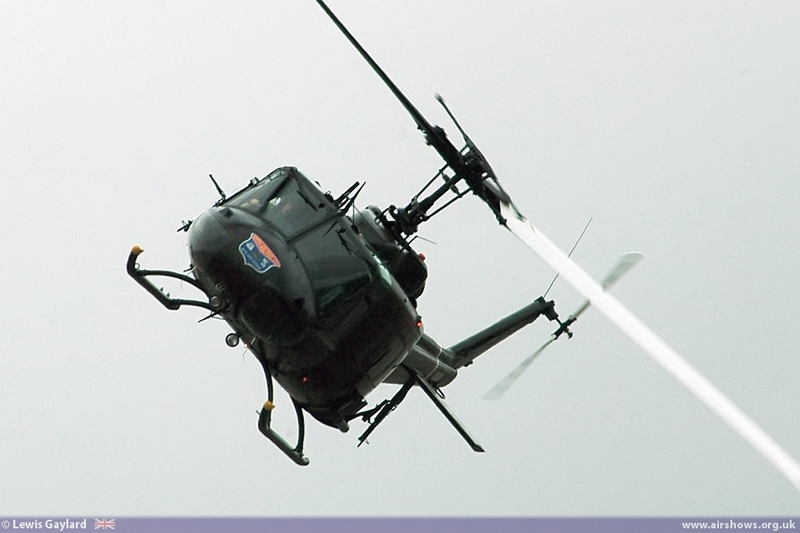 This called for some drastic measures and now the Merlin raced in at low level and ‘strafed’ the Pirate ship and in a hail of smoke and explosions, the Pirate ship was disabled. 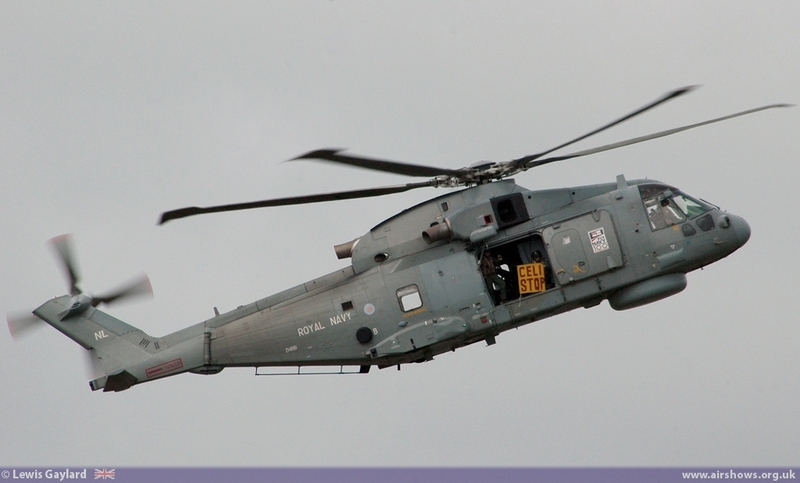 The Pirates, having had the luck of ‘Jack Sparrow’, survived the day to be taken away by the Royal Marine boarding party. 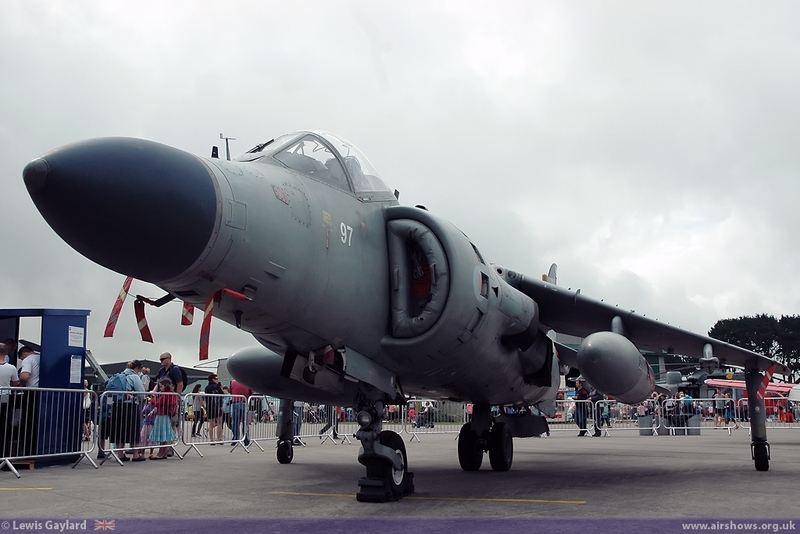 Despite the worsening weather throughout the day, the air displays were of the highest order and much respect is due to all the aircrew who participated. 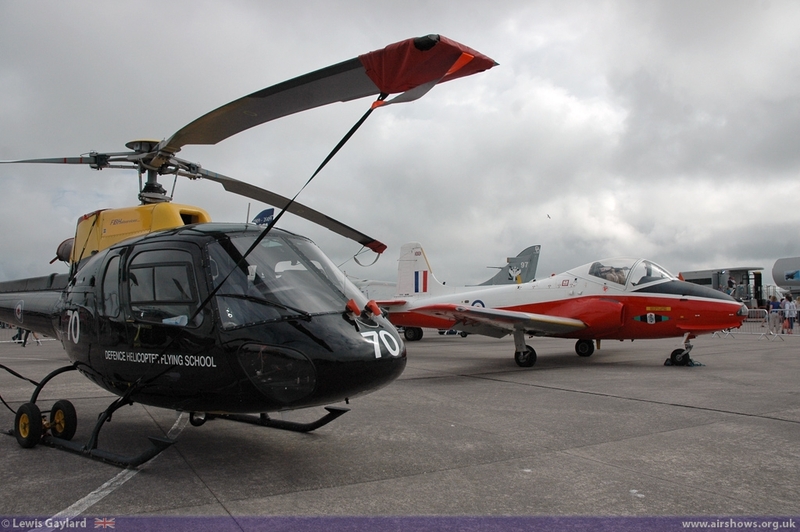 It is with many thanks to all involved at RNAS Culdrose for putting on a very enjoyable air day and we hope to return to Cornwall in 2014.